I design a large range of millinery head wear: cloches, cocktail hats, long brim, Fedoras, Panama, fascinators, bridal hats and different kinds of fancy headbands with beads and feathers.... Over the years have sold to men and women all over world from Austria, to South Africa, Switzerland, U.S., celebrities in the U.K. and Israel and fans of different movies and shows in Australia, Denmark... You can see the reviews my customers have written me: https://www.etsy.com/your/shops/RanaHats/reviews?ref=shop_info I would be happy to work with you in making the hat you have in your imagination. I have bought hats at Manny's and love their products. 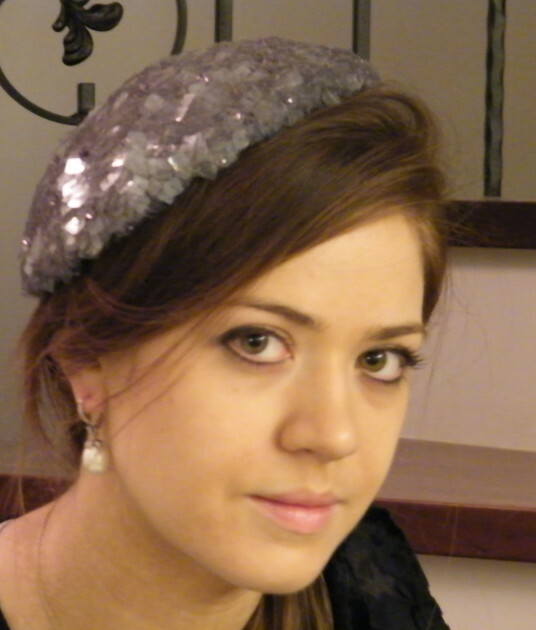 Cocktail hat with beautiful mauve/grey sequins handmade completely and sold to a loyal client in the U.S.